Being a newspaper reporter is not a life of glitz and glamour. But for a reporter like Chuck Schmidt, who was on the "Disney beat" for the Staten Island Advance, it means one-on-one time with Disney Legends like Marty Sklar and Tony Baxter; admittance to private, after-hours galas in the parks; and plenty of bling. 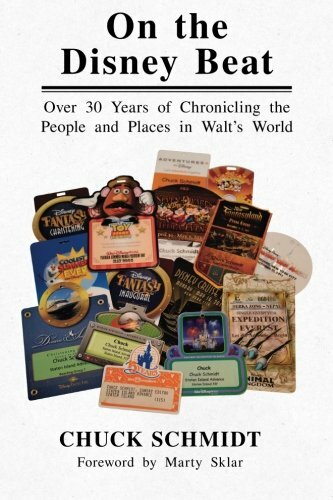 With a foreword by Marty Sklar, and featuring exclusive photos and contributions from Disney Legends Sklar, Tony Baxter, Bob Gurr, and Charlie Ridgway, On the Disney Beati> is your personal press badge to all things Disney!